All schools in the Morgan County Charter School System work diligently every day to ensure that all students are achieving to the maximum extent possible. Each school has a fully-operating, efficient, and effective Response to Intervention team that utilizes research-based interventions to address identified academic and behavioral needs. 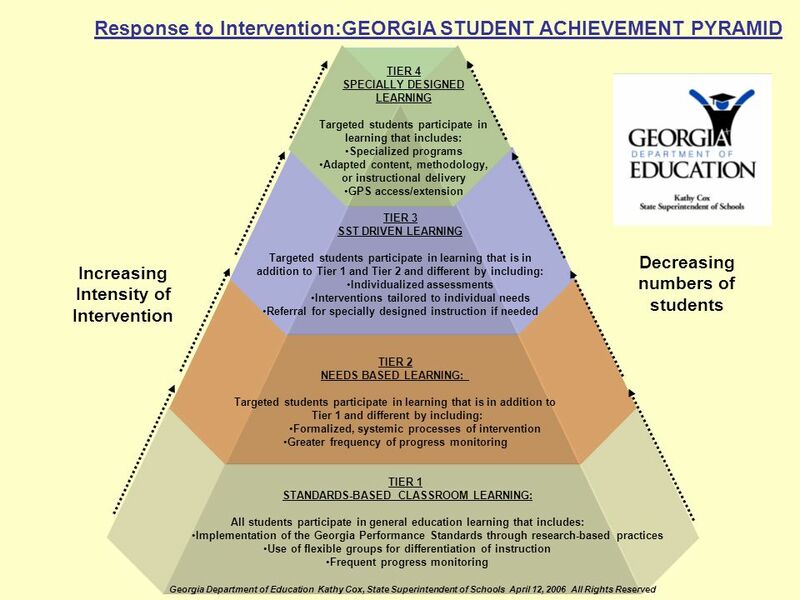 The Response to Intervention process includes: a 4-Tier delivery model designed to provide support matched to student need through the implementation of standards-based classrooms. Students requiring interventions to meet individual learning expectations receive support through a systematic, purposeful, individualized, and well-documented process. Parental participation is encouraged at every one of the four tiers.